Lithium Polymer vs Lithium-Ion batteries: What’s the deal? If you’ve got any kind of gizmo – laptop, tablet, e-book reader, cell phone, MP3 player, cordless screwdriver or drill, etc. – then you’re using lithium-ion batteries all the time. 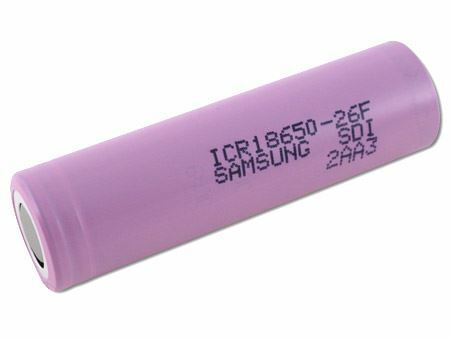 Lithium-ion batteries, often abbreviated as Li-ion, are extremely common these days. But what about so-called Lithium Polymer batteries, also called LiPo or Li-poly batteries? Are they really better? If you believe the marketing folks, yes they are. But, as it turns out, you’ve been fooled just like me! First, a bit about lithium-ion batteries. Usually, they come in a rigid plastic case. 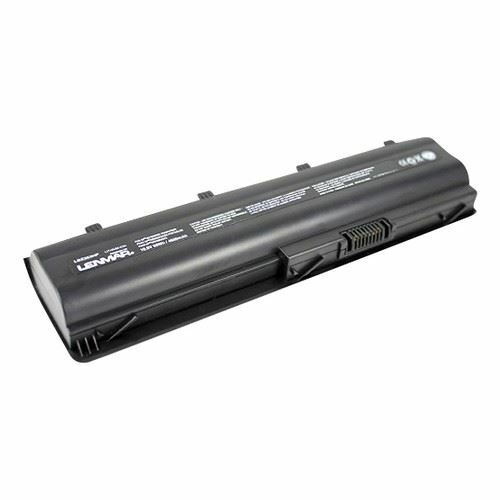 For example, if you have a standard laptop, the battery pack is a big rectangular plastic thing. Inside, there are multiple cells – think AA battery, although the size of your typical lithium-ion cell is a bit bigger. Lithium-ion cells have a nominal voltage of 3.7V. You might look at your laptop battery and see that it provides 11.1V. Then you might notice that 3.7 x 3 = 11.1. Thus, your laptop battery is a 3-cell battery. 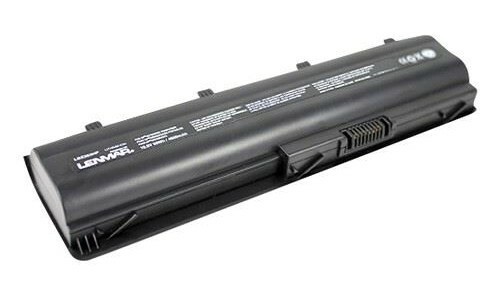 Other laptop batteries have different numbers of cells, but they all work the same. In short, the rigid plastic case contains multiple lithium-ion cells, and usually some electronics for temperature monitoring, and charging. Lithium-ion batteries must be charged carefully, or they’ll explode and do other fun things. That’s why all Li-ion batteries have either specific fancy chargers or integrated charge-regulating electronics. First, the batteries are fed with a constant current at a gradually increasing voltage. When the voltage limit per cell is reached, then the charger switches to a constant voltage (11.1V in the example of our 3-cell laptop battery) but with a gradually decreasing current flow. Ta-da! Your battery is charged. Helpful Tip: Lithium-ion batteries don’t like near-freezing temperatures. If you have a cordless screwdriver, for example, don’t charge the battery in your garage during the winter. Bring the charger and battery inside your house, and charge it where it’s warmer. Most chargers actually will not charge the battery at all if the temperature is too low (5°C / 41°F or lower). Other chargers will charge the battery, but they will use a “low temperature charging mode” that is less effective and not as good for the battery. Okay, but what about lithium-polymer batteries? This is where it gets interesting. It turns out that what marketing departments are calling “Lithium-polymer batteries” are actually “Lithium-ion polymer” batteries. As far as the user is concerned, lithium polymer is essentially the same as lithium-ion. Li-polymer is unique in that a micro porous electrolyte replaces the traditional porous separator. Li-polymer offers slightly higher specific energy and can be made thinner than conventional Li-ion, but the manufacturing cost is higher by 10–30 percent. There is such a thing as a real lithium-polymer battery, which uses a polymer as the electrolyte in the battery instead of other standard liquid electrolytes. This real lithium-polymer battery type is still more or less in the experimental phase. According to BatteryUniversity.com, the true lithium-polymer “plastic battery” never actually went mainstream because of performance issues at room temperature. Now, you may get longer battery life with your fancy laptop with its “fancy” not-lithium-polymer battery, but that’s primarily due to the flat, flexible format that allows the manufacturer to stuff more battery cells into the machine. That’s pretty much all there is to it. If you remove the relatively voluminous plastic case with standard lithium-ion cells inside, and you instead stick flat, flexible lithium-ion polymer cells in the same amount of space, you get more power to play with in the same volume – but the basic battery technology itself is the same: lithium-ion. 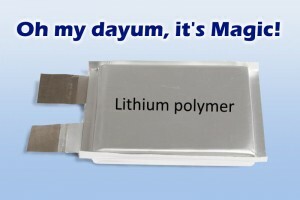 This is what they call “lithium-polymer” these days. So, if you ever have two choices for purchasing a gizmo, and one has a lithium-ion battery and the other has a lithium-polymer, don’t worry: As far as you’re concerned, it’s all the same thing, but in a different package. Thanks, that was great information ! LiPo batteries have been popular for powering remote control aircraft (from before the days that people assumed that they were all “drones”.) LiPo have had the ability to discharge quickly, delivering relatively high power for a short time. Airplanes and helicopters require high power/weight; this is not the same as high energy/weight which is where LiIon really shines. There may be a reduced total capacity of LiPo compared to LiIon. Yeah, I do believe sometimes they modify the battery design slightly to allow higher discharge rates without damage. Still, the core technology is not really that different… Kind of like alkaline vs. “ultra” alkalines. They also have to be charged differently, they must be balanced charged due to the speed of the charge mostly I believe. There are multiple wires and a multi-pin charging connector and a two-wire output. I ran over my Dewalt drill battery with the mower and discovered it had a supercapacitor on top. Youtube shows a similar battery/capacitor config and called it a hybrid battery assembly. What if you made a capacitor bank in parallel with the lipo batteries? A capacitor bank, commonly used in linear audio ac-dc power supplies, is ort of a very high discharge source that doesn’t last very long but recharges extremely fast. So if used in line with batteries it would provide something like a drill or a better example would be a circular saw with a source of very high current for a limited time, once discharged it would just be the batteries. Lithium batteries have different discharge ratings. Different batteries can supply different amounts of current (Amps). In the ” Li-Po flat pack batteries, this ability is named the C of the battery. For instance, there are 10C and 40C Li-Po’s (which are not really “true” Lithium polymer batteries from the science point of view, just differently packaged Li-Ion batteries with different properties mostly due to the shape of the cells) The main difference is the packaging. There are slight chemical differences also. What the Capacitor is doing is allowing the Li-Ion battery pack not to have to give out high current every time the device calls for it which would shorten their life. 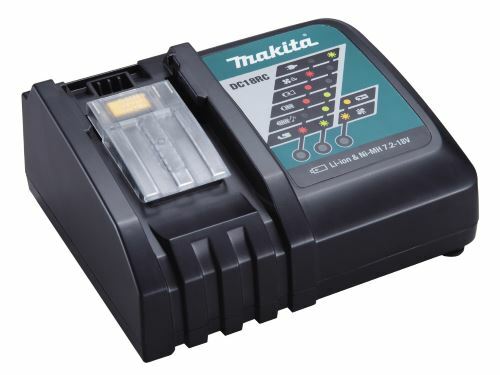 Lead Acid Batteries have a similar property. They may even put some sort in inrush limiter between battery and capacitor so the battery doesn’t give its full current to recharge the cap, and then wire the device so if the caps are empty the device can still draw energy from the battery pack. In linear power supplies the caps act as filters that smooth out the rectified AC current so the DC current has less ripple. Switching power supplies are very different and although I understand them quite well, I am not an expert on them by any means. By the way, I don’t quite know what you mean by a supercapacitor. A 1 farad 12 V capacitor would be far too big to fit in a drill and as voltage rating increases in capacitors, the storage capacity goes down for the same size cap. Assuming you are talking about electrolytic (can) caps. Any other type would not have a significant capacity to really affect the circuit much in regard to current capacity. Hope this helps. In the R/C world capacitors are used in the ESC to save the batteries from large discharge spikes. Start-Run capacitors are common in a/c window units. Higher current capability is natural due to the physical difference between a tubular LiIon battery and a flat LiPo battery. In a cylindrical battery, the battery is a long pair of sheets that is rolled up into a cylindrical cell. Therefore, all of the current flows in that single sheet. The LiPo batteries are parallel sheets tied together by common electrodes at each end, so each layer that makes up the thickness has its own connection. Basically you have a high number of parallel cells so they can have a high discharge current – at least as far as the conductive sheets are concerned. That is ignoring the impact of the elctrolyte. Thsnk you for your explanation.it really help me to understand more. You are correct this THE main feature of Lipo. Current draw from Lithium ion is only about one tenth. For something like an RC car, high current capacity in a short time is certainly a benefit (without blowing up the battery). You can get more power output over a shorter time. But for a laptop, for example? Not so much. I donno, my PS3’s Li-Po battery doesn’t JUST give it a longer battery life, it lasts without a charge for DAYS a few WEEKS actually. I mean all the controller’s actions are only accurately, quickly inputting commands via me clicking buttons, but still that is a LOT of potential. I am pretty loyal to Li-Po. The reason your PS3 controller battery lasts so long is not because of the battery chemistry, it’s because the current draw is tiny. If that same battery was used to power a more power-hungry device like a cellphone, you would probably find it lasted less than a day. I don’t remember the exact capacity, but I remember that when I replaced the battery in my PS3 controller it was pretty small. I was surprised to see no mention of the major benefit of real lithium polymer—that it’s not a major fire hazard. It blows my mind that so many products are out and about, particularly cars, using LiIon technology and their owners don’t know this at all. I was unaware of the seriousness of the problem until airlines stopped shipping them on passenger flights, etc. I agree- I was under the impression the major benefit of Li Po was that they are far less likely to catch fire; that is have flames come from them. I understood that if a Li Ion battery is punctured with a conductive item that allows a dead short from anode-cathode a very fast increase in temp occurs that ignites the electrolyte✳︎ . Do Li Po batteries solve this problem? They do get hot and the polymer experiences a significant amount of thermal expansion and outgassing but I haven’t seen one burst into flames like what is common on Li Ion batteries. ✳︎I am referring to the actual electrolyte combusting, not nearby materials. Can anybody comment on this? Thanks! I understand that lithium ion batteries containing liquid electrolytes are prone to bursting into flame, where the polymer batteries containing no liquid will not. Is that the case? Also, the polymer batteries carry much more power density. It was the Li=PO batteries that burst into flame, I raced cars that used them and they started making people fast charge their batteries in fireproof bags. it is the increased Current that they put out and can be charged with that causes the heat. Feel the back of your smartphone after a system update or other very high energy usage fo the device, like compressing files or system speed tests, it will be hot. Thamks for a great article. It would be great for the author to comment on the previous 2 comments about fire hazards of the Lithium Vs Li-Polymer subject. LiPo batteries are definitely still a fire hazard in certain cases/circumstances. Li-ion may be more likely to “explode violently” due to their rigid shell, but LiPo can still vent gas, swell up, produce lots of heat, and potentially ignite flammable material nearby. The gel electrolyte in LiPos doesn’t make them fireproof. When you hear about exploding cell phones and the like, that’s an epic failure on multiple levels. Even the batteries themselves have safety features to prevent this very thing. IMO, considering the number of Li-ion and LiPo batteries in use today, they’re pretty darn safe overall. As for power density, LiPo has a slightly higher specific energy (energy per unit mass), but the amount of power you can pull out of it over a given period of time depends on the battery design. But then, that’s not much different than, say, a lead-acid battery for a car. Bigger usually means more power, but the design of the battery internally can also make a difference in terms of “cold-cranking amps”, max continuous current load, overall battery life, and even self-discharge rate. Your best bet when sizing a LiPo or Li-ion battery is the same as with any other battery: If I’m powering my 100W LED light cannon, then the 22.V 10Ah battery is okay as long as it’s not too hot. At 22.2V x 10Ah, I could get 220W for 1 hour by really pushing it. But instead I only need 100W for 2.2 hours (much safer, as I’m only pulling 4.5A out of a potential 10A). In reality, the 100W LED is only about 94W, and the other circuits consume a few watts, so it only uses about 96W, which is 4.3A out of 10A. Perfectly safe – unless the battery is defective or my charger goes nuts on me! I am planning on getting a power bank, I was concern with the battery specs. So which is better to buy, Lithium or Polymer battery power bank operated. I would choose based on “other factors”. Since the specific energy of LiPo isn’t much higher than Li-ion, the bigger questions for me would be cost, space required, short term and continuous load current ratings, etc. IF you get one rated for higher temps… Some are only 30C, some are 40, 50, or even 60C. D’OH! See Srf‘s comment below… The C rating is the discharge rate (a 1C 10000 mAh battery can supply 10000 mAh, a 5C 10000 mAh battery can supply 50000mAh in 1/5 the time, etc). So the higher the C rating, the more juice you can pull in a shorter time without the thing exploding. This seems very wrong. Mah is a total power rating, like the total capacity of a water bottle ( ie 1 gallon of water fits inside). C is not a temperature, it is a rate of discharge. 1C will drain the entire charge in one hour. 60C will drain the entire charge in one minute. mAh is milliampere-hours, which is the amount of current the battery will provide for 1 hour. So 10,000 mAh is 10,000 mA for 1 hour, or 5,000 mA for 2 hours, or 2500 mA for 4 hours, and so on. Since the battery also has a certain voltage, and if we assume the voltage is relatively constant, then yeah – in a manner of speaking, mAh is a measure of power since you can calculate the power the battery will provide by multiplying its voltage by the mAh rating. And you’re right about the C rating, which I corrected above thanks to Srf! I fix iPhones and some other phone brands for myself and friends as sort of a hobby and I always notice how the longer the phone has been owned/more it has been used the more inflated the Li-ion battery is resulting in it having poor performance and needing replacing. But then I replace them with brand new Li-ion batteries that decay and inflate needing another replacement a few years later. I’m wondering if I get Li-poly batteries instead, will they last longer? They cost almost double (£8-10 more) but if it added another year then it would be worth it to me as I don’t like risking the phone displays every time I open a phone there’s a risk of cracking a £120 screen display. Your article above is a fantastic insight on Li-ion and Li-poly by the way but I’m still conflicted on what’s best for my specific situation. What are your thoughts? Since when does the “C” rating on a lipo have anything do with temperature? The “C” is for capacity not temperature. 1C means it can discharge safely the mah of the battery in amps. For instance if you have a 5000mah pack, rated 10C. Covert the mah by dividing by 1000. That gives you 5. 5 X the C rating = 50. So that pack can safely output 50 amps of current. SON OF A BISCUIT! You’re right. Gonna update my comments. Thanks! Added: After digging, I think I got that idea when I bought a huge Li-poly, and the specs mentioned 30C (the temperature). It appears that battery makers like to test their batteries at 27C because batteries generally work “better” at higher temps, at the expense of life/poor charging. This 30C value happened to correspond to the C rating printed on the battery. Oops. That also means my huge Li-poly has slightly fudged specs. Double oops! I’m curious why all these battery packs for laptops, ebikes, etc, use 18650 Li-ion batteries that are soldered in. Why don’t they just supply battery packs where you can easily replace rechargeable 18650’s like you can with rechargeable AA’s? Because then they wouldn’t be able to charge you an arm and a leg for a replacement battery in a custom housing. All of this is super-helpful. Thanks!! This is the most detailed explanation I’ve found of lithium-ion/polymer batteries. The comments from everyone are also helpful. Any ideas on how to tell if the batteries are high quality or not? We had an r/c car that the battery started smoking so I had to soak the battery in saltwater for two weeks to neutralize it for safe disposal. The 9V Li-PO keeps a constant voltage until it is empty and then drops down very quickly, while Li-ION voltage drops more gradually during discharge. I think the one you’re talking about is LiFePO4, which is lithium iron phosphate. Those are different from both LiPo and Li-ion. Well, that’s about the weirdest battery I’ve seen in awhile. Would love to take one apart! In the mean time I found a review that batteries from Banggood are sometimes confiscated by the post office, and that it is better to order them at AliExpress in order not to have shipping problems. Lipo / Lithium ion dangerous fire hazard. I realized how dangerous Lipo batteries can be when I was charging my nephew’s rc helicopter with built in lipo battery cell. I had just plugged in the charger and went to the bathroom within 5 min I heard a loud pop sound then smoke detector alarming. As I entered the patio there was a cloud of smoke and multiple spot fires on the table where the copter was now on fire. Extinguished the fires and had to thoroughly ventilate and vacate the area. The chemical smell was overwhelming and potentially poisonous. Discovered that possibly the charger had malfunctioned causing high voltage surge bursting the battery. A scary lesson I learned was NEVER leave lipo charging batteries unattended. That was life endangering experience. The toy manufacturer RADIO SHACK claimed that I had abused the product and refused a refund or replacement. I was within the warranty period. My local TV station ch2 action line and the BBB helped me get a full refund and additional gift card for $100.00 I was satisfied when the company had decided to recall the toy for potential fire safety. I don’t know what rules there are for Eco Kart, but lipo would be very good technically speaking! Hmm, I’m really not sure which one to get. Chinese stuff can be awesome, and it can also be overspecced garbage. Usually what I do is try to find somebody out there who’s tested the exact thing I’m looking to buy. That’s not always possible of course, but sometimes I find a better option during my search. But, that’s all I got! Either one is fine. Chances are, you already have some gizmos with li-ion, and some with li-poly. Thanks for sharing amazing information about lithium ion and polymer battery….The comment section also gave answer to few of my questions. 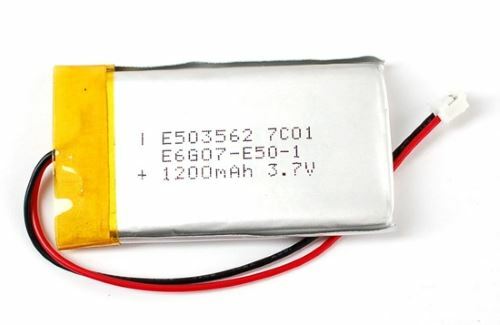 I play airsoft and there is always a big question for years about wanting smaller batteries that won’t get in the way but may not work as well/ long or buy giant li-po batteries. Just recently a company called Valken released a series of 7.4v and 11.1v Li-ion 2500 mAh 30c batteries. So If I have a gun using a mosfet to control output and detect low power, with a very high torque motor (Tienly GT-35000 Ultra Torque Motor) and I shoot both full auto (40 rounds a second) and semi, are these new valken batteries going to be better or should I use a BCA 11.1v Li-po 1450 mAh 30c battery ? What type of battery will last longer in terms of years to safely use, what battery will handle the fast rate of fire and quick torque better. I’m assuming that the higher mAh rating on the Li-ion batteries will allow them to power my gun longer between charges unless Li-po’s are more efficient even with the same c rating ? Otherwise is there any reason to believe that these new Li-ion batteries could be better in high stress performance when compared to a Li-po of the same voltage and c rating ? The 2500mAh battery should last longer for a given amount of power sucked by the motor. Of course, that assumes that the mAh rating for the new battery is actually accurate. Sometimes they fudge the numbers, so check reviews first just to be sure! First of all, I’m not sure if it’s a lack of understanding of what an Ion is or simply you using lithium ion, for all lithium ion types, but every single rechargeable Lithium battery is a Lithium-Ion battery. It’s the cathode material that changes things. Lithium-Ion-polymer batteries are “real” Lithium polymer batteries, they do use a polymer as an electrolyte and have been out of the experimental stage for a long time. 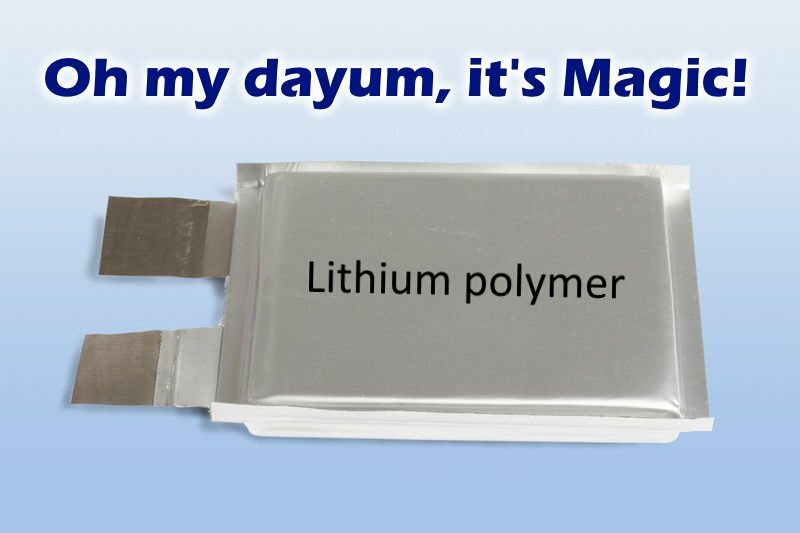 They are not called Lithium polymer because of the case. Also, they are not exactly the same as standard lithium ion cells, essentially, yes but the composition and safety of them is different and varied. Just as standard lithium ion batteries are varied. I suggest you do a bit more research on the subject and maybe do a study and article about the different types of lithium ion batteries. from trugreen and agreenhand). I love them. Quiet and clean. And I have thick St Augustine grass which it mows every one of the an hour on a sole chargewith easy. or cordless) doesn’t have power can little dated in their assumptions. more efficient and value effective enough to use for lawn care type applications.